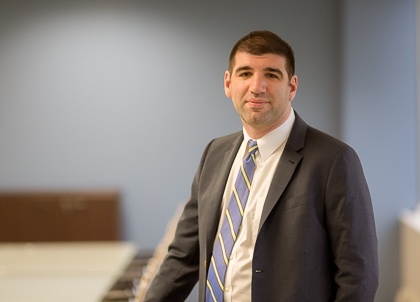 Ben is a commercial litigation partner at PIB Law where he focuses his practice on the representation of financial institutions in connection with financial services-related litigation matters. He has particular experience litigating quiet title actions under RPAPL Article 15. Ben is also regularly called upon to provide consumer finance advice to leading financial institutions. Prior to joining PIB Law, Ben was associated with Fein, Such, Kahn & Shepard, P.C. There, Ben represented lenders in a broad range of mortgage-related litigation, foreclosures and in disputes with co-op and condominium associations. Prevailed on appeal to the New Jersey Appellate Division in which the Court held, for one of the first times in New Jersey, that a borrower lacked standing to assert a breach of a Pooling and Servicing Agreement. Negotiated voluntary dismissal of a loan servicing client in the Southern District of New York, relating to servicing practices in Florida. Successfully argued that an involuntary dismissal based on defects in the verification of a complaint do not have res judicata effect in an action brought in New York State Court. Obtained dismissal of $100,000,000.00 claim against securitized trustee involving claims of, among other allegations, RICO violations and systemic fraud. Defeated action filed by customer against her loan servicer alleging a breach of the implied covenant of good faith and fair dealing, as well as the mortgage contract itself. Negotiated asset purchase agreement for the sale of a small chain of New York restaurants. 2017-2019: Super Lawyers Rising Stars in the areas of Creditor Debtor Rights, Business Litigation and Consumer Law.